This petition has been created by Anoushavan S. and may not represent the views of the Avaaz community. A lot of people in the world think that animals are sentient beings who shouldn't be killed unnecessarily and since it is not necessary to eat animal products millions of vegans and vegetarians refuse to eat animals or animal products. But their belief is rarely respected. This is particularly visible in the almost systematic refusal to offer balanced vegan meals in public or private institutions, which may lead some to renounce to their beliefs or else be content with a nutritionally deficient diet. 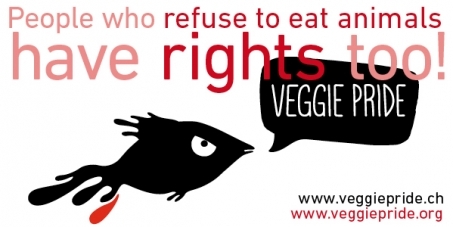 In France there is even a new law that forbids vegetarian meals: http://www.icdv.info/index.php?category/English . Some doctors learn almost nothing about nutrition and are unable to provide vegans and vegetarians accurate information. Some media have a mocking or critical attitude against “extremist" vegetarians, when mentioning any topic related to vegetarianism, instead of allowing any real debate of ideas. When someone says that s/he is a vegan or vegetarian for the sake of animal interests, this sometimes provokes unpleasant reactions, contempt and even aggressiveness.